Lionel - Teaching as Inquiry: How will I implement? What I have tried to do is set up a template that is easy for students to use. 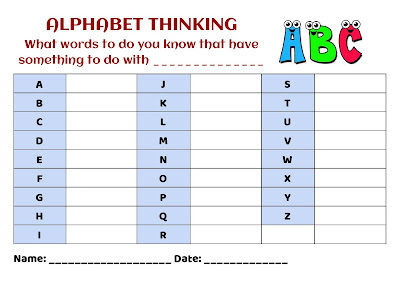 With this sheet they can write down words or at least try to that have a link or something in common with the topic. This allows them to be creative as they like, some of the links they are able to come up with are very clever. Some issues I think that will happen is that they will be intimidated by the how many letters they are so I think i will try and give them a set time limit and they can do as much as possible. The important part will be around how they link what they think. 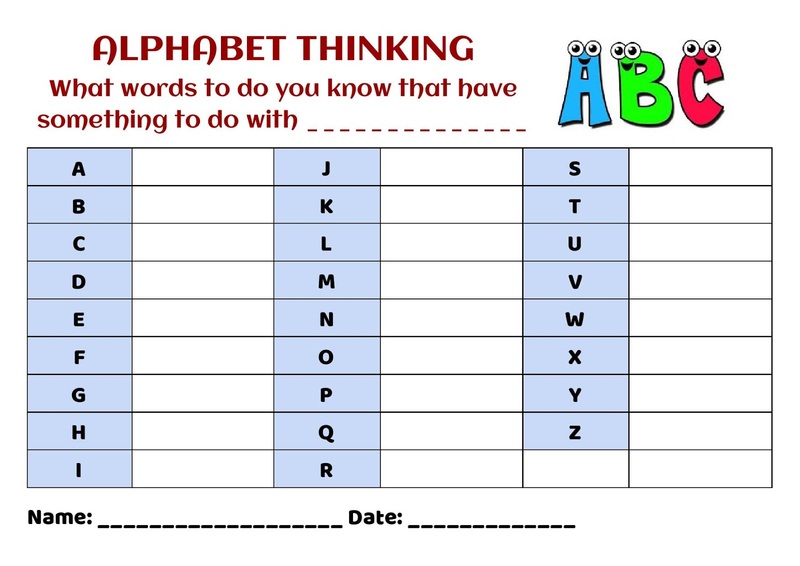 Here I have created a sheet around expanding their thinking skills and also problem solving. This sheet can be used in pairs or individually. It also lends itself to the prediction key what do you think could happen. This key really focuses on prior knowledge of what to do if something unexpected happens. A skills that is so important with my age group of students in the community.